This post is about our son, Stanley. Here he is as a toddler lining up his cars across a picnic bench in a park that was full of children playing on the swings and slides together. He never even noticed the other kids, not unless they were Honda enthusiasts that is. His first words were ‘Mercedes’, ‘Audi’ and ‘BM Goo Goo Goo’ and at the tender age of just 3, he could tell you the make and model of every car that he passed in the street. He couldn’t however, say ‘Mummy’, or ‘Daddy’…..or even ‘Hello’. 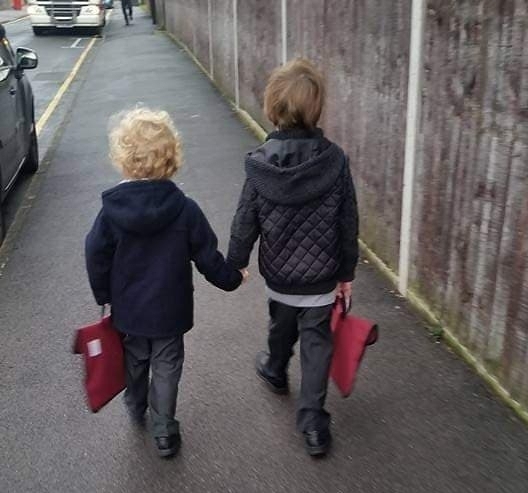 We have always know that Stan was different to other children. He could read and write at age 3, but he could not understand a word of any of it. He could recite the alphabet backwards and also in Russian and Spanish, but not be able to tell you that he was hungry. He could count in Chinese and tell you the numbered order of every Mr Men book ever written, but he couldn’t answer when someone asked him what his name was. Where there were awesomely wonderful elements of his character to marvel at, there were equal concerns for his basic development. All kids can become obsessed with things, but Stan has always taken his interests to a whole new level - a level that a regular, old neurotypical person like myself could never begin to understand. His first all-consuming passion was for the alphabet. Like most parents, my husband and I wanted to be supportive of his interests, so we embraced his passion like it was our own and let the alphabet consume our lives for a whopping 3 and a half years. There were alphabet and number puzzles as far as the eye could see and most days, my husband and I risked tripping and falling to our deaths in order to embrace our child’s passion. Hell, if we did trip and fall to our deaths, at least we’d have known how many steps it took to kill us on our way down. Thanks to this particular obsession, I not only learnt how to navigate my way down the stairs without becoming paralysed, but I also learnt how to expertly mop a floor without disturbing a very sacred line-up, which was absolutely NOT allowed to be disturbed from its position in the middle of the hallway for a two whole weeks!! It even got to the point that Stan insisted we use him and his brother, Bob, to spell out actual words using their bodies. Behold, the word WINE spelt with human children!!! Finally, when his obsession with the alphabet came to a much-welcomed end, he moved on to greener (and less annoying) pastures and my husband and I felt tremendous relief! We were FREE from the alphabet! FREE after all those years of suffering!!! But then, because we blatantly did something horrendous in our former lives that warranted extra punishment, Stan’s little brother suddenly became transfixed by the little bastards and before we knew it, we were saying ‘Goodnight’ to 26 letters before individually tucking- in each one before he would agree to go to sleep. NB. This situation is still ongoing, as is my passion for wine. Whilst Bob shared his bed with 26 foam letters, Stan moved on to Minions and we amassed over 300 of them (and he could tell you the exact order in which every one of them was bought). Then, came the fixation with Arctic Wildlife and he would spend hours listing all of the species of birdlife in the Antarctic whilst my husband and I screamed silently into a bundle of towels. Tell me, do you know what a ‘Black-legged Kittiwake’ is? Well I do. As does my husband. As does every child from Stan’s class back in 2013. NB. If you don’t know, Google it. Because I am DONE with the wretched creature and I can speak no more of it. As wonderfully entertaining, remarkable, frustrating and occasionally (but often) tedious these passions have been, they have been quite detrimental to Stan when it came to making friends. After all, what five year old child wants to discuss the 90 different species of Whales when chowing down on their Wotsits in the playground at breaktime? This is where Stan struggled. He found it hard to relate to his peers and thus became the child who didn’t get invited around other children’s houses and seldom got a party invitation. Despite being rather positive up until this point, I began to feel immense sadness and concern for his future given that the thing that I hold most dear in my own life is my family and my wonderful friendships. I worried, just as every parent worries about their child, but in the words of Bon Jovi, I knew I had to ‘Keep The Faith’. There was a day when I thought that he would never speak. Now he won’t shut up!! There was a day when I thought that he would only ever call me ‘excuse me’. Now he calls me ‘Mummy’ (about 3000 times a day at extreme decibels). He has learnt to express an interest in others. He has learnt to talk to other kids about different things, NOT just about whatever his all-consuming passion might be. Some years later, we have relocated back to Wales to be near family and he has thrived in this new and wonderfully supportive environment. He now has an abundance of friends who love him exactly for who he is and he is the happiest that I have ever seen him. 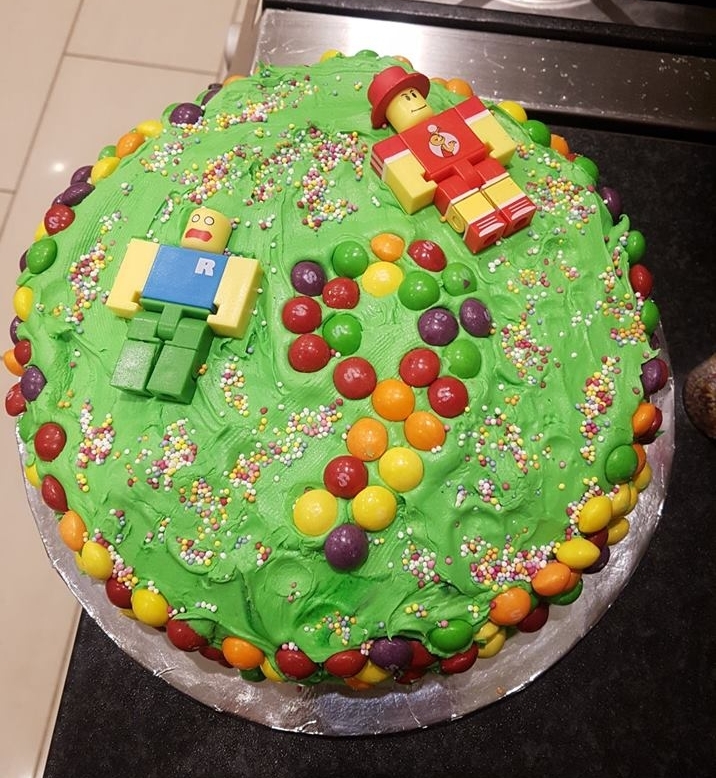 Just last week, I had half of the street in my house helping me to make him a cake for his birthday whilst he stayed in the living room engrossed in his current obsession that is the game, Roblox. Behold the cake designed and produced by the hands of lovely, accepting children!! This cake is made by the muddy hands of five young boys under the age of 8. theres three sneezes that went into the mix and a couple of errant boogies. all in all, a true expression of love from the hands of babes. 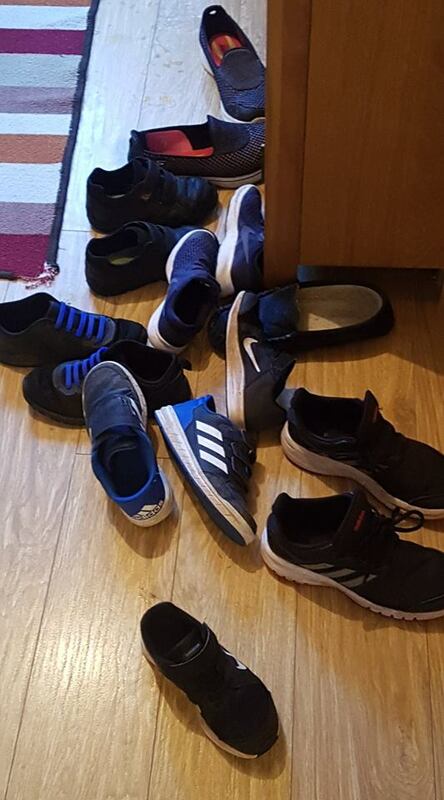 His 9th birthday party was attended by a bunch of gorgeous boys from his class who all bought him thoughtful Roblox-themed gifts that they knew he would love. And to top it all off, they all came to the field to help him learn how to ride his new bike. They whooped and cheered him on as he glided down the hill with a massive smile on his face. Again, riding a bike is something that I never thought he would do, but he has proved me wrong. My house is now full of children all of the time; children who have stopped by to play with him. More often than not, I have ten pairs of tiny shoes at my door, ten new samples of urine on my bathroom floor and I probably spend over £1000 a month on Potato Waffles and chicken nuggets after entertaining his pals day after day. It has been a difficult but tremendous journey up until this point and our journey continues. This child has taught me so much. I have learnt how to be patient, how to be a better communicator, how to be more empathetic, more reasonable, more kind. I have learnt to celebrate every milestone, no matter how small, because each and every one is an achievement for him. Most importantly, I have learnt NEVER to underestimate my child, or anyone else for that matter. One day, I know he will be able to actually sit on a chair and eat a meal with cutlery. One day, I know that he will be able to walk through the door after a long day at school and not explode into a rage for no apparent reason. One day, I know that he will ride his bike without falling off, drink from a cup without the need for a straw and be able to play pass the parcel without collapsing into uncontrollable tears when he doesn’t win. One day, I know he will change the world in a big way, in the way that he has changed ours.